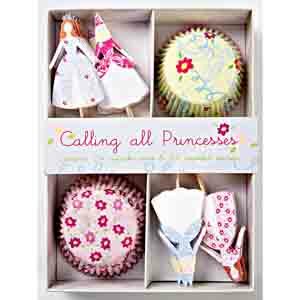 Cupcake toppers: 1½" wide x 4" long Celebrate the princess in your castle with these delightful liners and toppers. Cupcake kit contains 24 cupcake liners in 2 different patterns and 24 cupcake toppers in 4 different designs. Celebrate the princess in your castle with these delightful liners and toppers. Cupcake kit contains 24 cupcake liners in 2 different patterns and 24 cupcake toppers in 4 different designs.